Hello, my name is Isabelle, and I am a condiment-a-holic. I realised I had a problem a few weeks ago when, as we were cleaning out the fridge, my husband commented that we should probably get a separate fridge just for our condiments. Which is a pretty reasonable suggestion, actually, because our current fridge is about 75% full of sauces and mustards and pastes and sundry other condiments. You want to hot sauce? Take your pick between Mexican, West Indian, Tibetan and Vietnamese. We’ve also got three kinds of curry paste (red, green, and vindaloo), two kinds of miso, six kinds of mustard, pickles galore, and more random Asian sauces than you can shake a stick at. 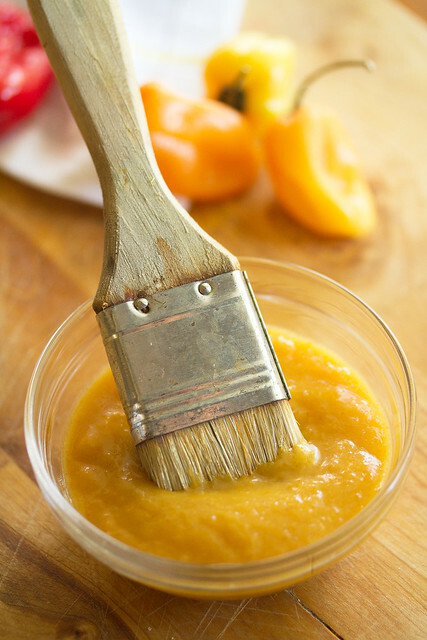 My latest favourite is this fruity sauce made with a blend of mangoes and peaches, and spiked with fresh habanero chilies. 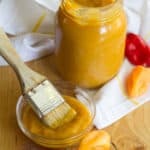 It’s equal parts sweet and tangy and spicy, and an utterly delicious change of pace from the more traditional sweet-and-sticky Kansas-style sauces, which usually rely on a pureed tomato base. I actually used frozen fruit to make this particular batch, mostly because we’re still weeks away from getting decent locally-grown peaches, but it will most certainly be making a repeat appearance later this summer once I can get my hands on some ripe Ontario peaches. And because barbecue sauce always needs a little kick, I’ve thrown in some habanero peppers. They’re the perfect match for the peaches in this sauce, because they’ve got a fruit flavour and fiery heat. These little peppers pack a lot of punch – make sure to wear gloves when chopping the peppers and transferring them into the saucepan, and wash both your hands and all cutting surfaces thoroughly to avoid accidentally getting pepper juice anywhere it doesn’t belong. You definitely do not want this stuff getting anywhere near your eyes! My favourite use for this sauce is liberally drizzled onto grilled shrimp tacos, but it’s equally good tossed with freshly-cooked chicken wings, spooned onto a pulled pork sandwich, or brushed onto chicken skewers before they go onto the grill. Just the thing to spice up your next summer gathering! Oh, and that condiment fridge? I’m seriously considering it. Especially if it means I have room to stash a few more bottles of this sauce. 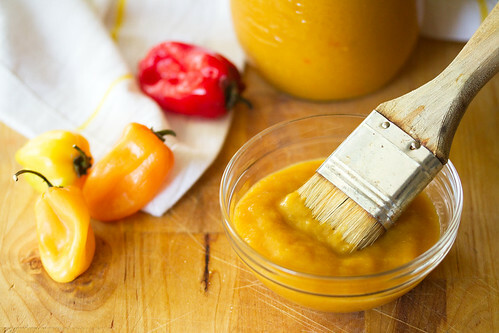 This beautiful sunny orange sauce is equal parts sweet, tangy and peppery hot. 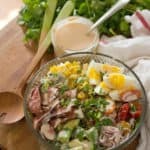 It’s delicious on chicken and seafood – try brushing it onto shrimp or chicken before grilling, or toss with freshly cooked chicken wings for a fun change from the usual buffalo sauce. In a medium-sized saucepan set over medium heat, saute the onion and habaneros in olive oil until the onions are very soft and starting to take on a little colour, about 8 to 10 minutes. Stir in the remaining ingredients and simmer, uncovered, for 30 minutes or until the fruit is very tender. Remove from heat, and puree with an immersion blender until very smooth. Check the consistency – if it’s too thick, add a little water to thin it out, and if it’s too runny, return to the stovetop and simmer until it reduces down to the desired thickness. Pour the sauce into a sterilized pint jar. Let cool, then screw on the lid and refrigerate until ready to use. 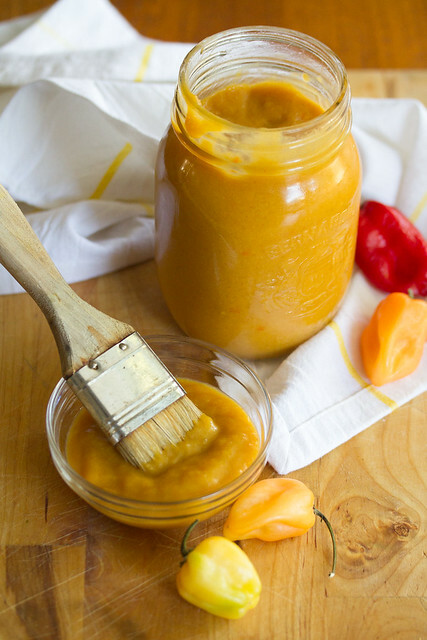 I feel that 2 habaneros gives this sauce a perfect balance of sweet and heat, but if you like things extra-spicy, upgrade to 3 habanero peppers… or if you’d rather take a walk on the mild side, go with just 1 habanero and remove the seeds, or swap out for a serrano chili to really take things down a notch. I absolutely need to try this! 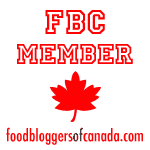 I am a bit of a condiment-a-holic too! This looks FAB – and I love the colour too! This sauce sounds amazing on shrimp tacos! I tried a few BBQ sauces last year and none of them really turned out that good, but I’m excited to try this one! 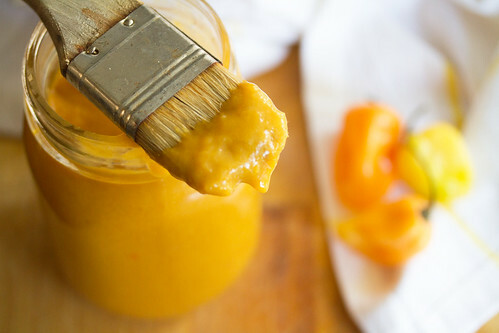 Another peach/pepper recipe worth trying, which is more of a hot sauce than a BBQ sauce is the Instant Hot Sauce in Batch, where they blend fresh peaches with hot peppers, vinegar, and honey (p.263). 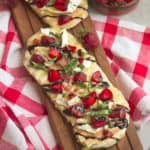 It takes like 2 minutes to make and it’s delicious! Wow loving all the flavours in this sauce…especially the heat. We love making our own sauces, I will have to add this to our list. I love sweet and spicy! And homemade is always the best ! Thanks for the recipe! 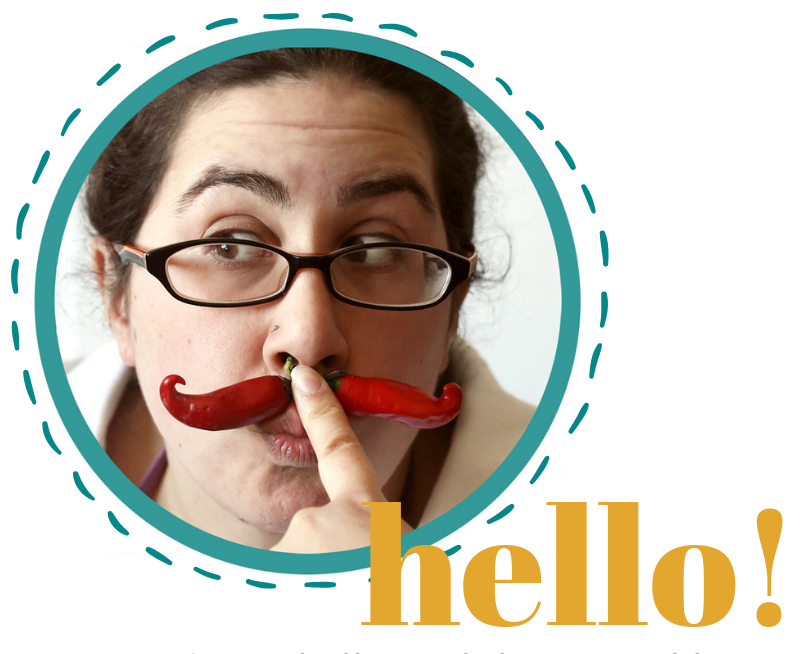 Hi, my name is Kellie and I’m totally stealing your condiment fridge idea. ha,ha. 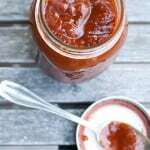 I’m giving cherries a go as a BBQ sauce right now but I’ll pop this recipe in to my rotation for sure. I also have a fridge full of condiments…. But I think it’s about to get fuller with the addition of this baby! I love this sweet and spicy combination. Sounds perfectly tropical. Meant to give this 5 stars!! Oops. 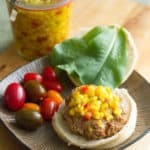 Habaneros are a little too much in this household but I think I could make this with jalapenos and live happily ever after. You almost need to be a chemist to figure the combos out! Thanks for the pointers!